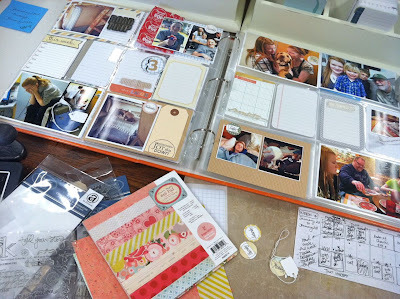 I'm back today for PIP Day....where I show you my Project Life in progress for Week 4. Can you believe that February is already here? Can you believe it was 63 degrees in Kansas today? No & no!! By now you should be finding your groove for your Project Life. Whether you keep it simple or get scrappy with it, I hope you are enjoying the process. 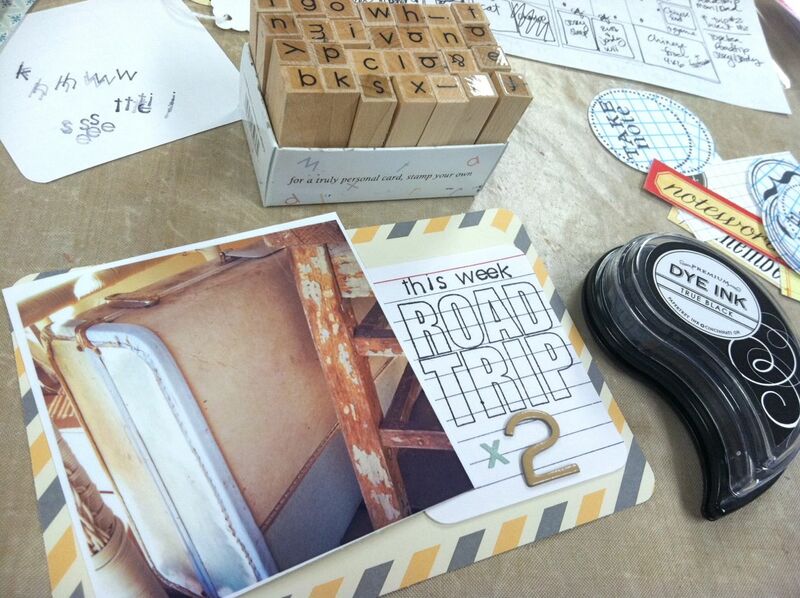 I really love when that last photo for the week is snapped and I can get to work on laying out my PL week. Here's my PIP photo for Week 4. Just a random bunch of photos with no real color scheme or theme. This week I was inspired to use items from my Take Note kit that was in my shop recently. 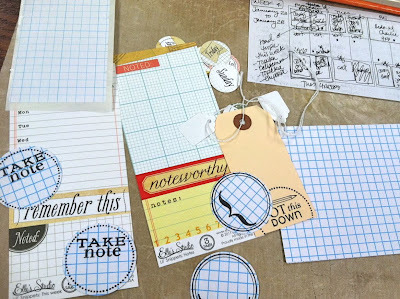 A great little collection of grid themed embellishments + a few goodies from Elle's Studio. My challenge for this week was to blend together my main pages with 2 inserts that I plan to do about a few road trips this week. I thought this photo of a vintage suitcase that I have sitting on my porch would be a fun photo to tie in all my pages this week. This will be my main title insert that will slip into the upper left hand corner. I am keeping in mind that I would like to really have just 2 albums for 2012. With the number of inserts I have been adding, I'm not sure that's going to work out. It it doesn't I'm fine with that. I know that here in a few years the girls might be out of the house and I won't have nearly as many fun photos to take. I'm just soaking it all up right now and am loving every.single.minute. 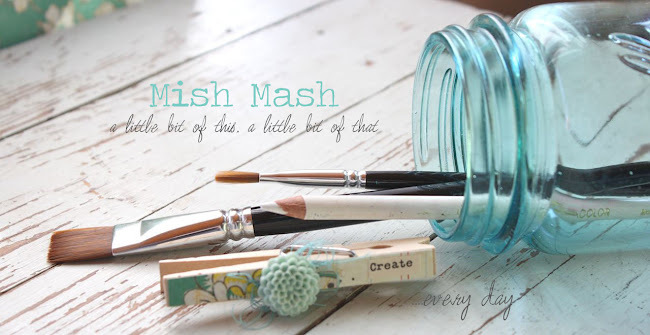 Lisa Truesdell is always great for providing fun ideas for Project Life. Plus her 3 boys give me a glimpse at how life would be with boys. I found this week of Lisa's to be so cute with the little sucker wrapper from Sam. Last week I snapped a photo of Jordan at the basketball game with her goodies from the concession stand. She had a handful of suckers to hand out to friends. Later that night I found that my purse had been turned into a trash receptacle. It was full of those sucker wrappers, wadded up popcorn bags and empty pop bottles. Lovely. As I was throwing it all in the trash, I was reminded of Lisa's cute insert with the sucker wrapper so one of them made it's way into my PL album. Thanks for the inspiration, Lisa! A few new kits in the shop (in very limited quantities) plus a sale on the Wrinkle Ribbon. I'll also be cleaning out my stamp & supply stash to make room for new CHA goodies. I'll have boxed items in lots here on the blog soon. Man, did you see all the fun new stuff coming out? I can't wait. NO ballgames this week. Very nice to have some bean bag time in front of the television and something other than hotdogs for supper. Josey is recovering from her concussion she got last week and will be able to practice and play in this weekend's tournament. Hoping to play with some new Washi tape I got today. Thinking a few of these will be great for Valentine cards. 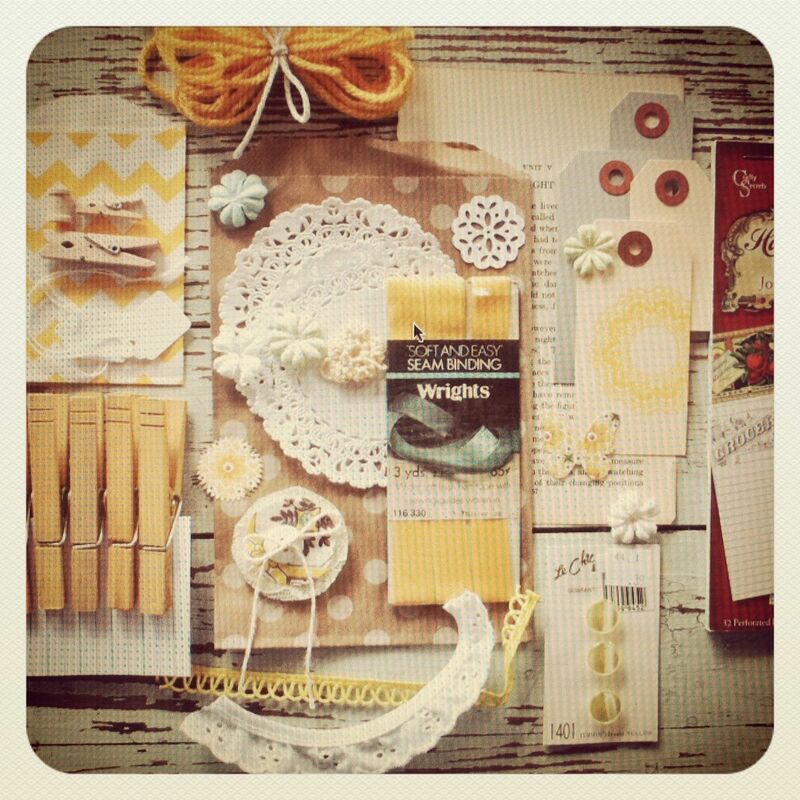 Plus they'll look fabulous with Project Life's Clementine, don't you think? Okay, off to finish up some work and then head outside. It's wayyyyy too beautiful of a day to be inside....in February! Love the new washi tape. What brands? Seriously LOVE them. It is 68 in Raleigh right now, with this being our first winter out of Washington state it is a huge temperature difference. Going out now to soak up some more gorgeous February sun. Also another great layout. 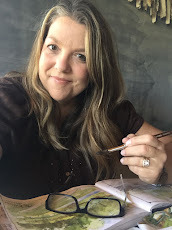 I simply adore your blog. Last year I had three books and that is still my goal. Two I think would be impossible if you had more than 15 or so extra layouts. 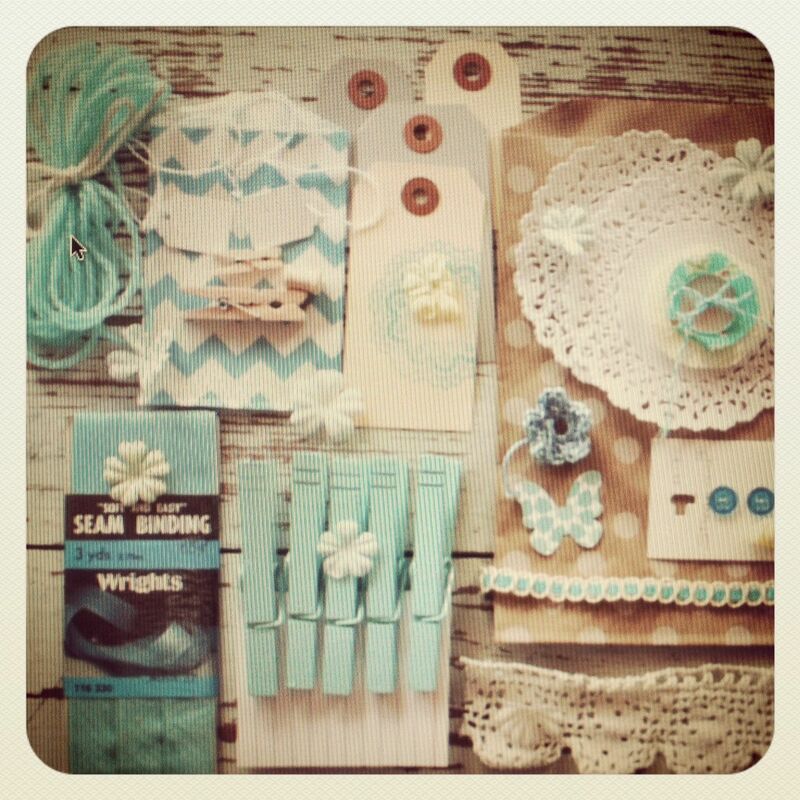 Just scrapbook what you want and the rest will work itself out. enjoy your time without games! man, that reminds me of high school and constantly being on the go, go, go! 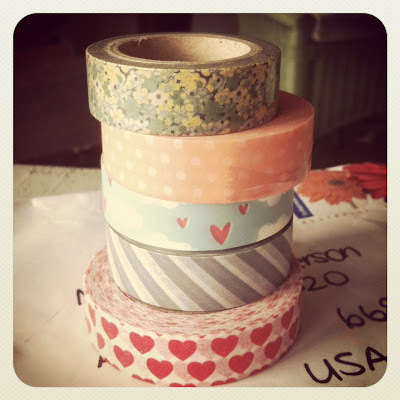 just wondering where you get your washi tape from? i LOVE the valentines tape!!!!! so adorable. I too am wondering where you get the washi tape from. Thanks! I was wondering the same thing; where did you find the washi tape? Love all the grid lines, the happy colors, and the washi tape. Your sucker story made me smile, I just tucked a candy wrapper aside for my PL - who knew Dove candies had fun little sayings inside?